We are situated on the north-east coast of Zanzibar – Matemwe. Join us for amazing experience! Dive Point Zanzibar is a professional and friendly PADI 5 Star Resort based on the North-East coast of Zanzibar. The dive center is located opposite the stunning Mnemba Atoll where you can find some of the best diving in Zanzibar! We offer a full range of PADI recreational diving courses and diving experiences for those who want to try! For certified divers we offer daily diving and dive packages. At the same time, snorkeling trips are an option for those who do not dive. 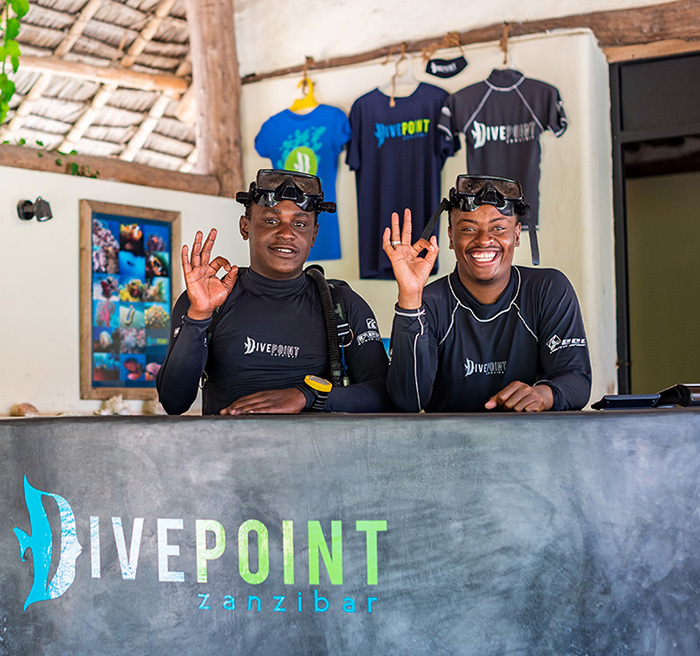 Dive Point Zanzibar also offers PADI TecRec technical diving courses for those who want to take their diving to another level. If you already hold a Tec certification, we also have guided technical diving available. The dive centre is located within Sunshine Marine Lodge, a cosy, stylish and eco-friendly hotel. With fantastic views and a beautiful beach nearby, this makes the perfect spot for a diving getaway! Feel free to enjoy the choice of relaxation or action in this boutique style lodge. 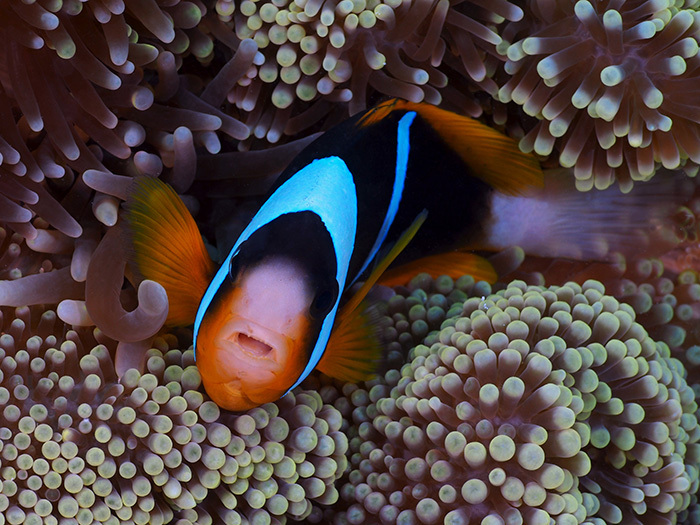 We offer daily diving and snorkeling trips to Mnemba and north-east coast reefs. Try dives are available for those willing to discover scuba diving, as well as a wide range of PADI diving courses.